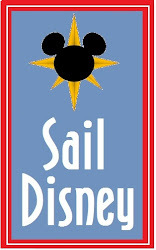 The Mouse Connection: Are you DREAMing of a FANTASY cruise in 2013? Then now is the time to get started! Are you DREAMing of a FANTASY cruise in 2013? Then now is the time to get started! Well now is the time! Disney just opened their booking window today for 2013 cruises on the Dream and the Fantasy. As expected, the Dream will continue 3,4, and 5 night cruises to the Bahamas and Castaway Cay. The Fantasy - whose maiden voyage is this spring - will continue 7 night cruises to the Eastern and Western Carribbean as well as Castaway Cay. QUICK CRUISE TIP #1- If you are thinking of a 2013 cruise, now is the time to book! Prices on Disney cruises tend to go up and up as they reach capacity! QUICK CRUISE TIP #2 - If you would never consider a Spring Break or Holiday trip to Disneyland or Disney World because of the crowds - think cruise instead! The cruises have a fixed capacity and they always sail at or very near full capacity. So a spring break cruise will not "feel" any different than a late September cruise in terms of crowds. Prices are a bit higher during these peak travel times, but since you are a smart Disney shopper (and read tip #1) you already know that you can mitigate the extra cost by planning ahead. As always, I would love to help plan your Dream-y Cruise! 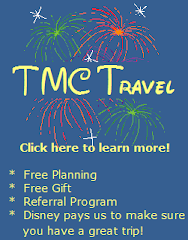 Please let me know if I can help ginger@tmctravelonline.com!